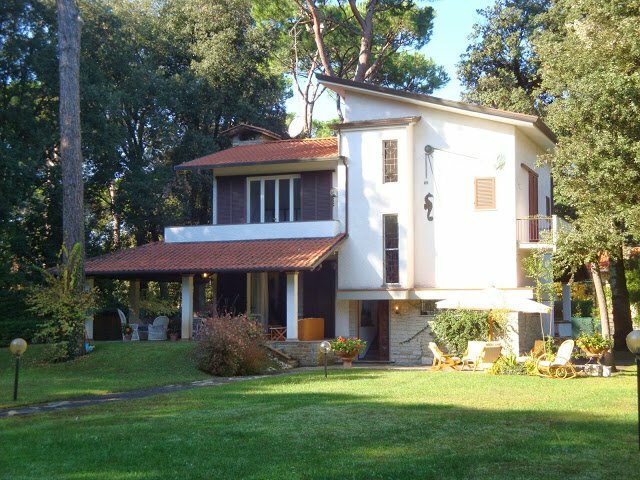 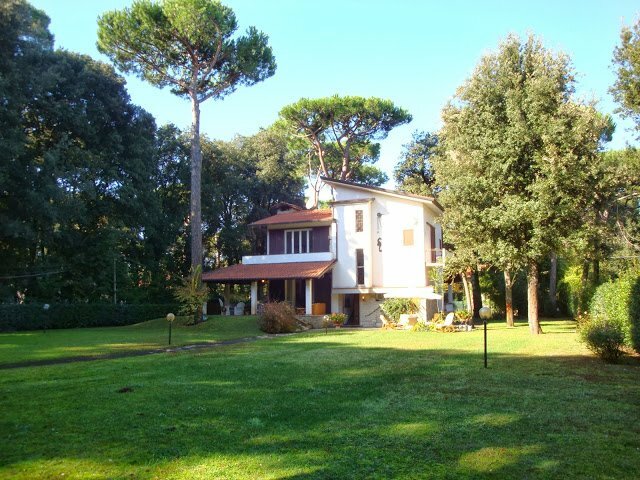 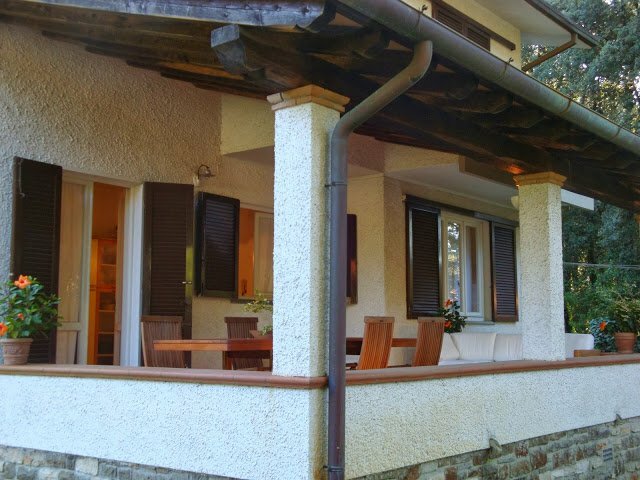 A nice Villa close to the beach (500 meters) set inside a private pinewood. 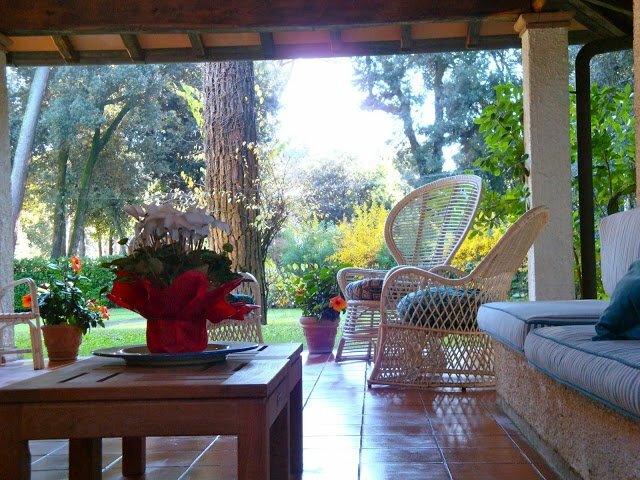 It is a very exclusive, quiet and relaxing place. 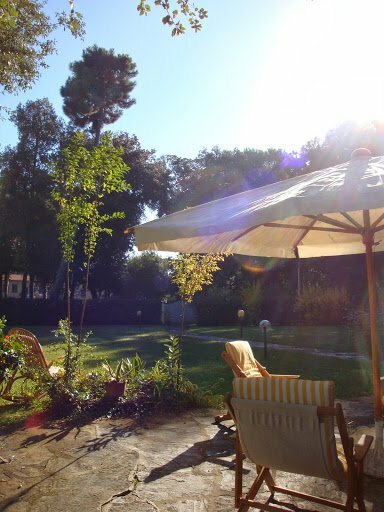 Private garden and parking. 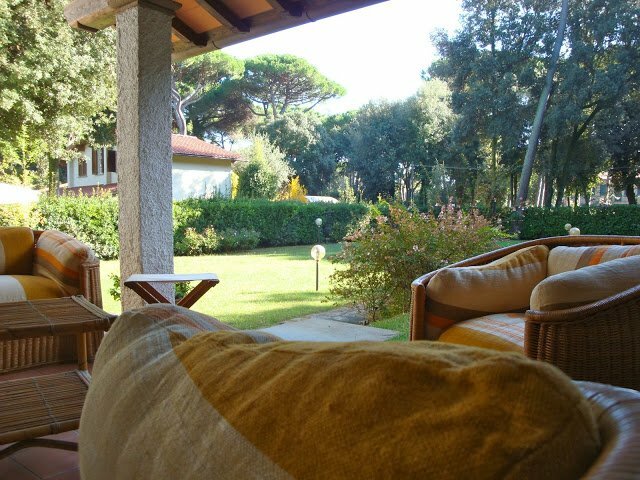 Guest can have access to the beach club included in the price. 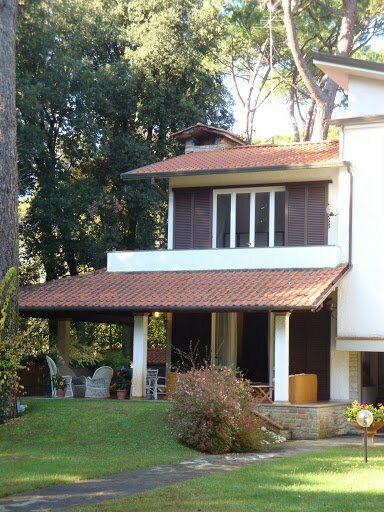 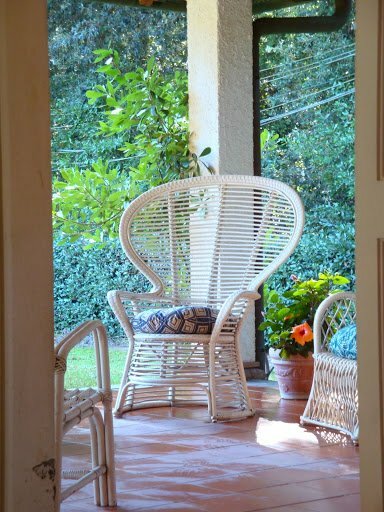 Independent house very close to the beach (500 meters) inside a private pine forest. 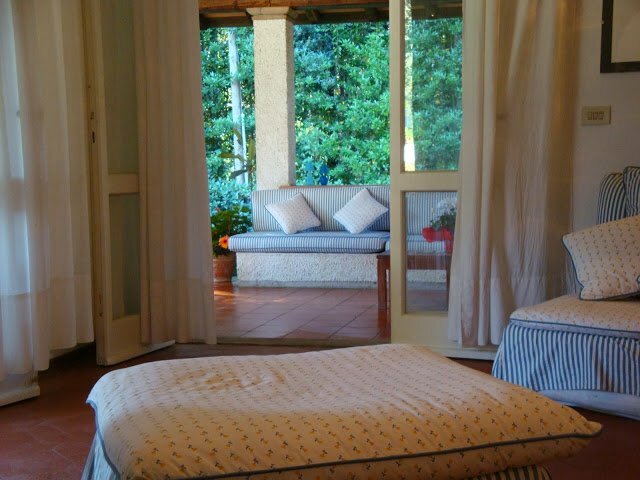 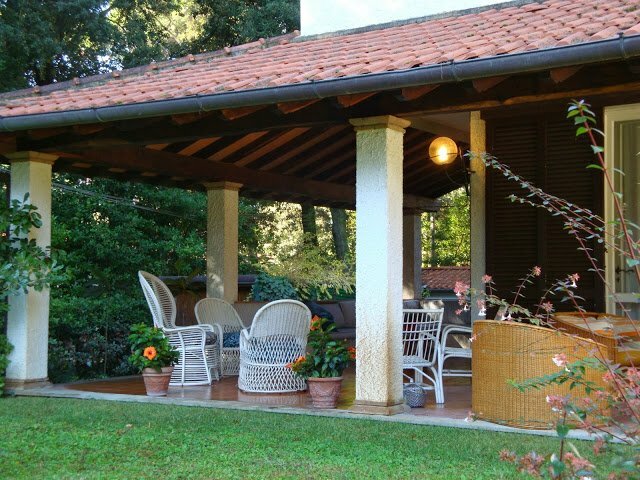 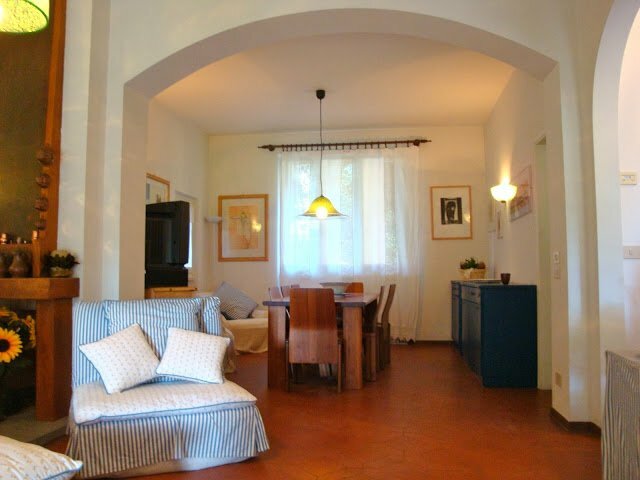 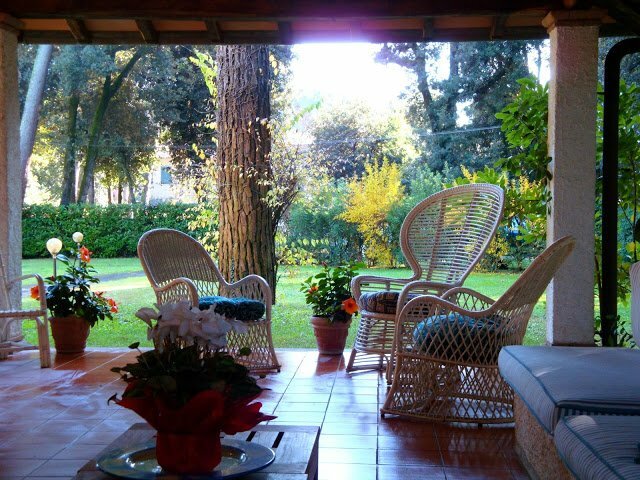 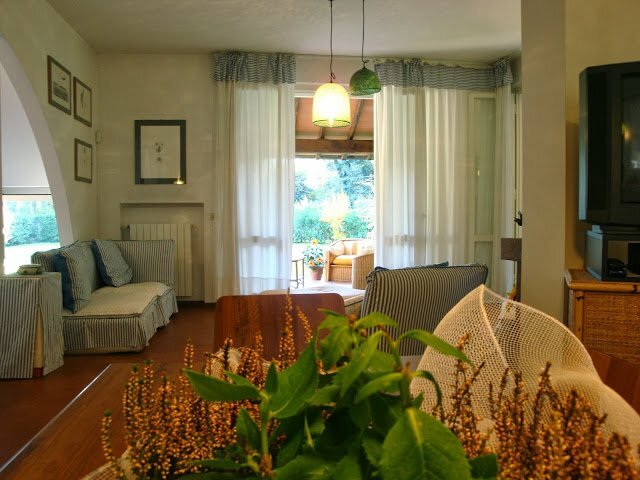 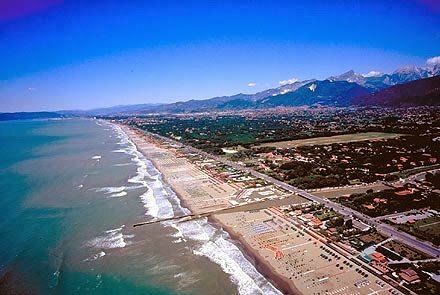 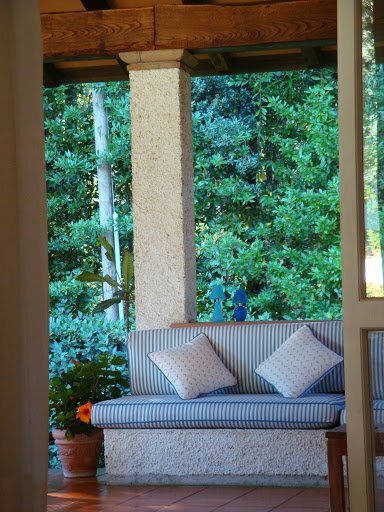 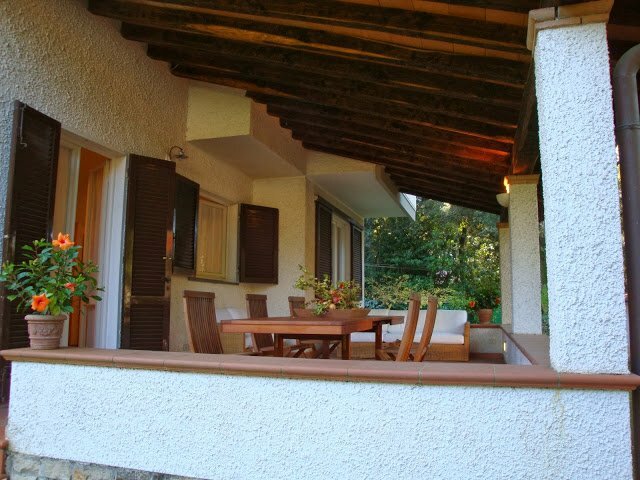 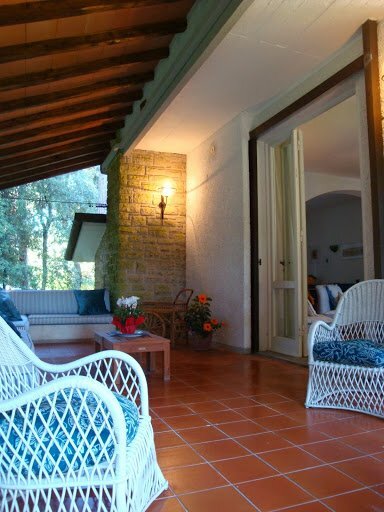 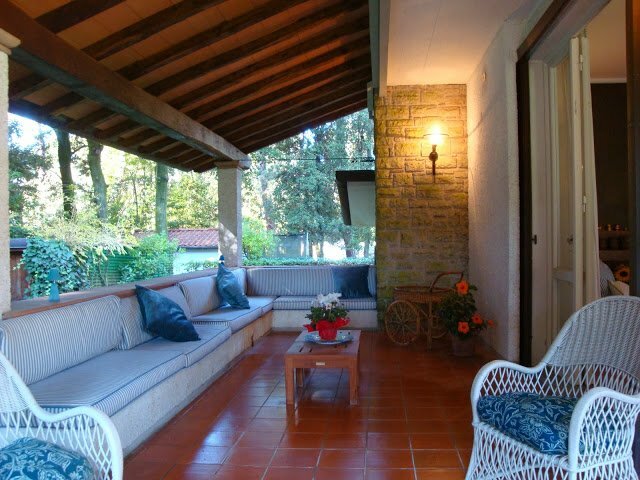 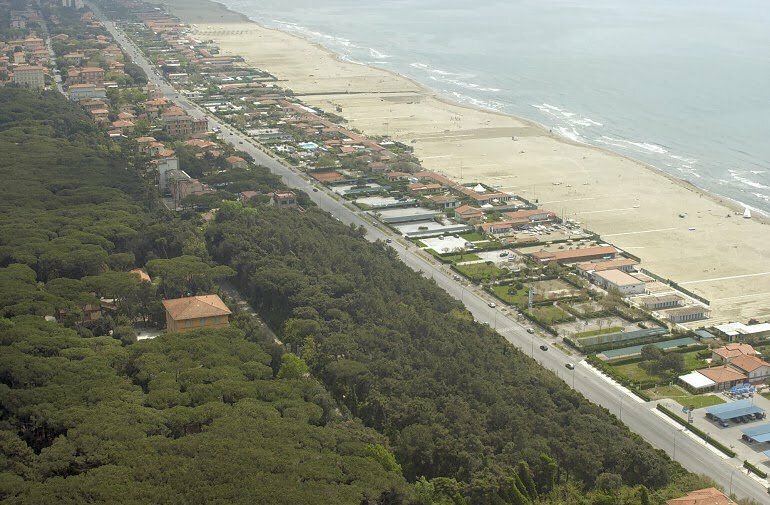 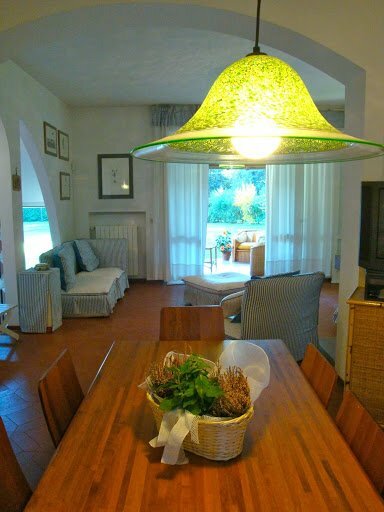 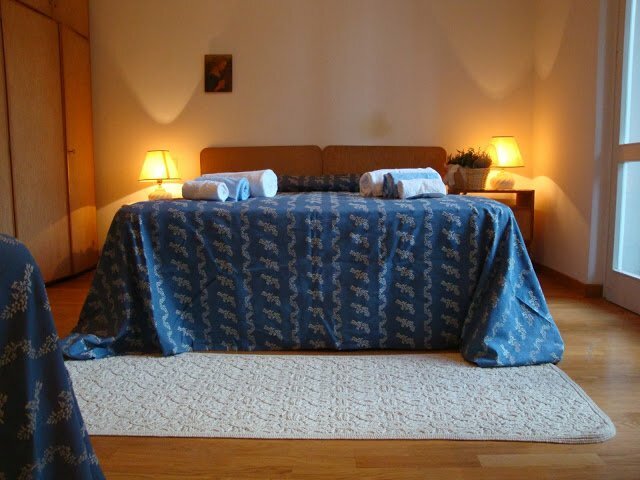 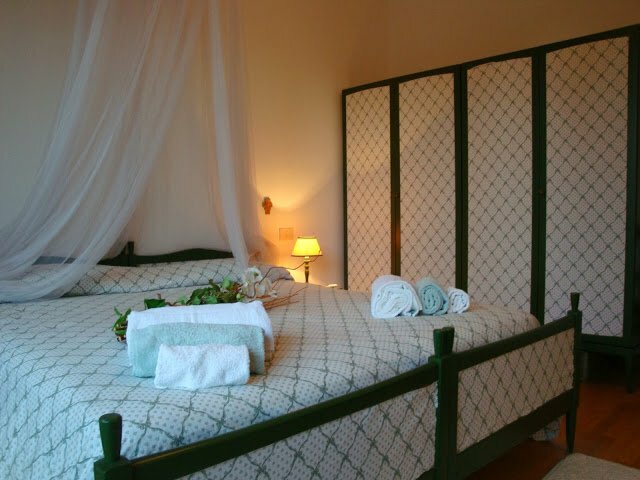 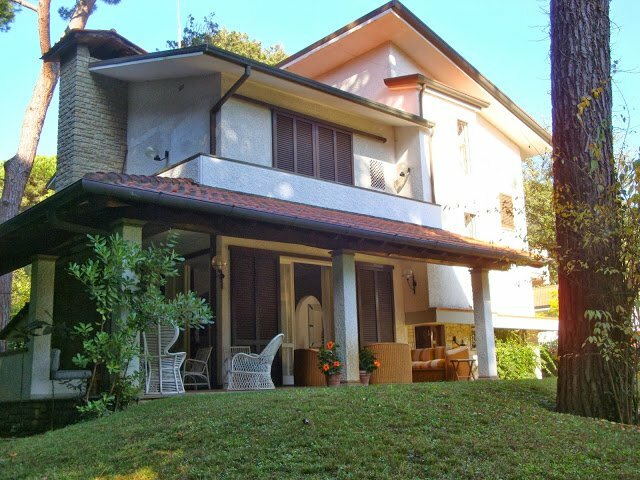 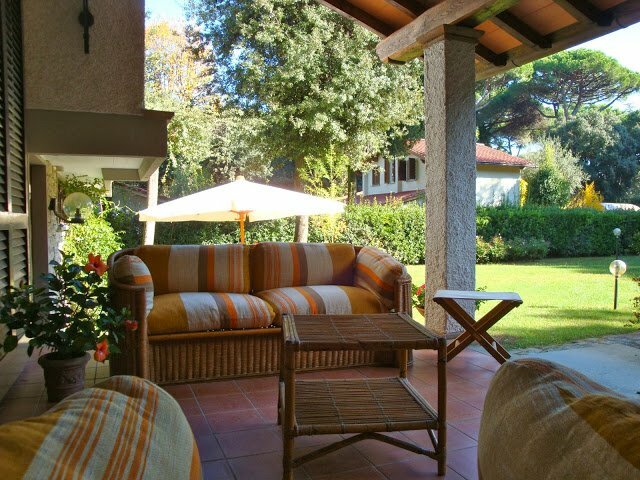 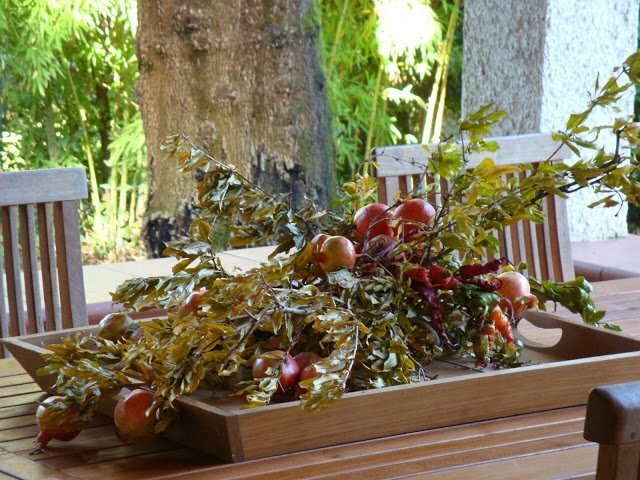 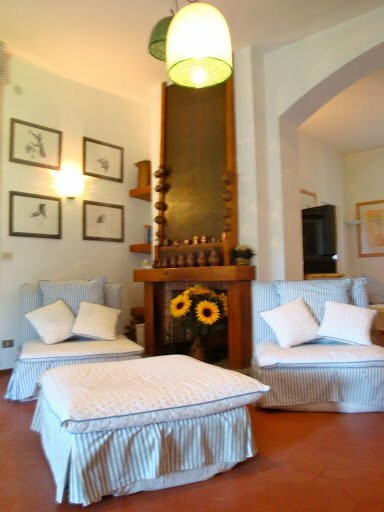 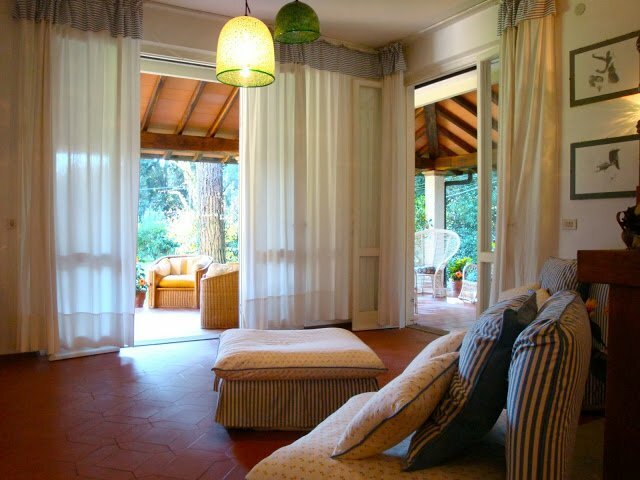 An exclusive location, overlooking the sea, not far from the most renowned cities as Viareggio, Forte dei Marmi and Pietrasanta, surrounded by a natural wood that will ensure peace, relax and privacy to your stay. 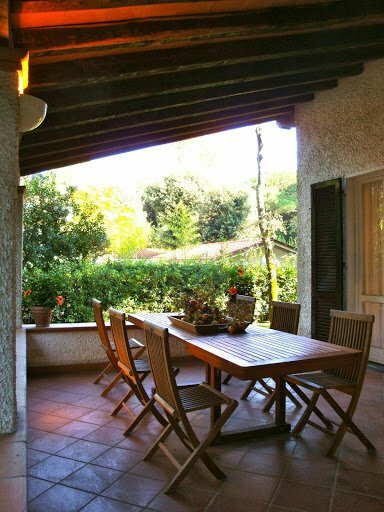 Outside there is a large garden, parking place and 2 terraces for eating al fresco. 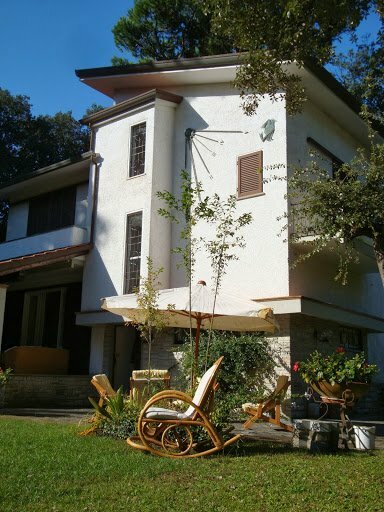 Inside the house is spread over 3 floors. 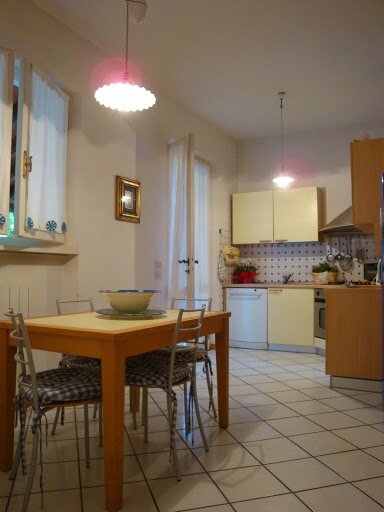 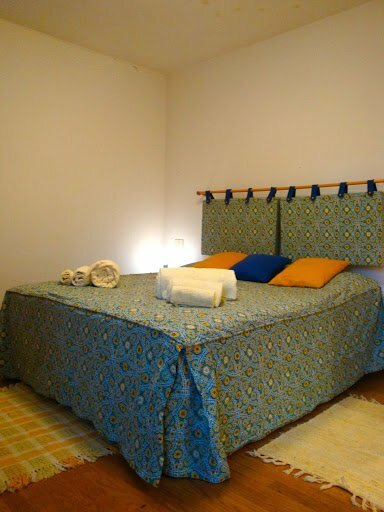 At the ground floor there is the kitchen, a dining room and a living area with sofas, a studio/bedroom, a bathroom with shower and 2 large covered terraces equipped with sofas, armchairs and a large table. 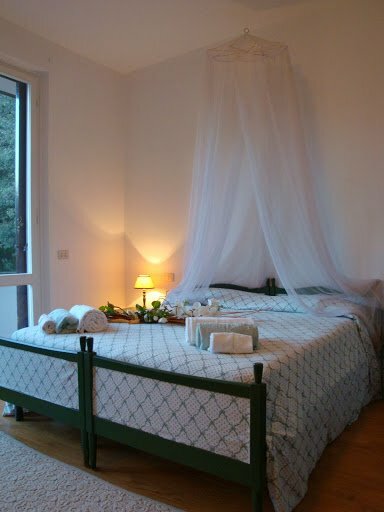 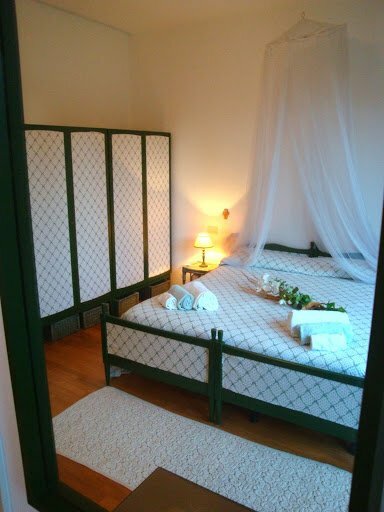 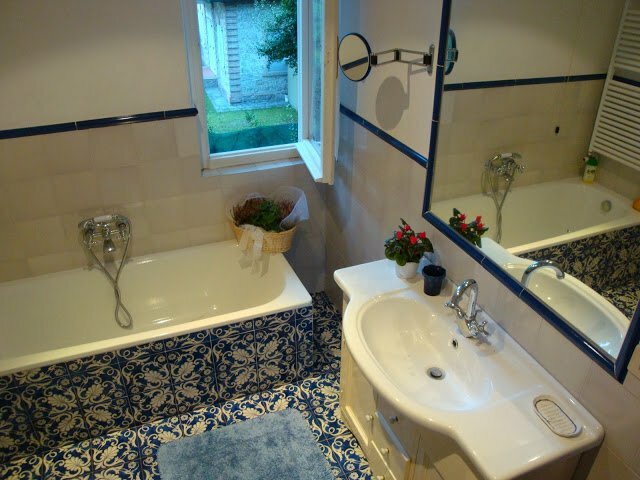 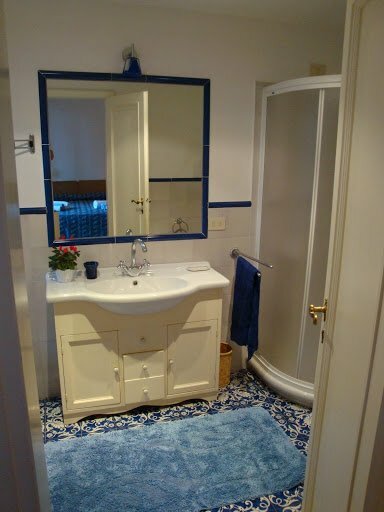 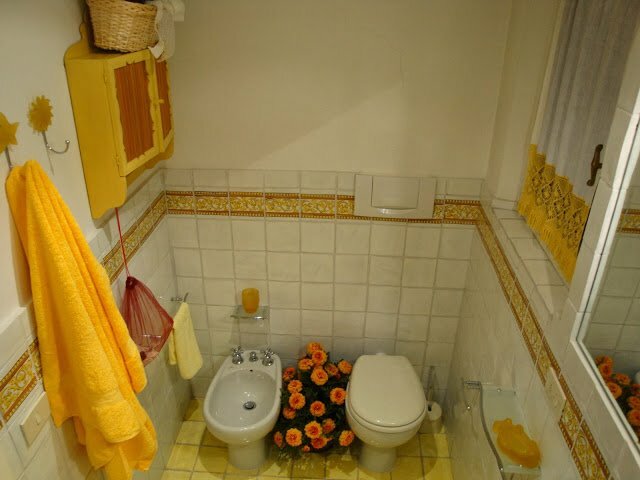 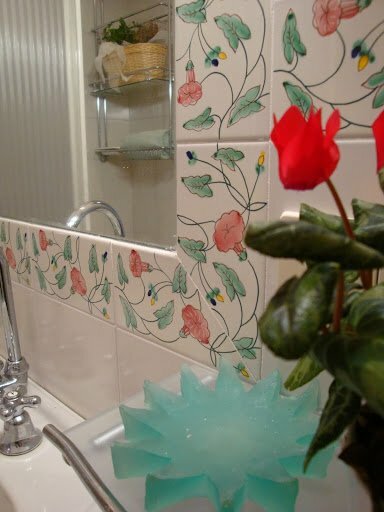 On the first floor there are 3 double bedrooms all with private bathroom and a terrace. 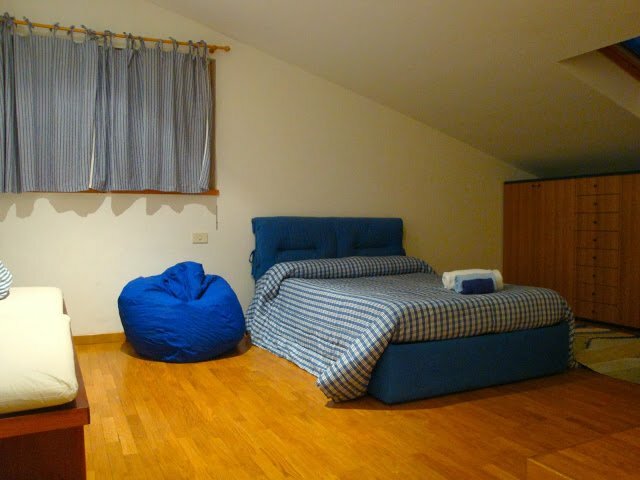 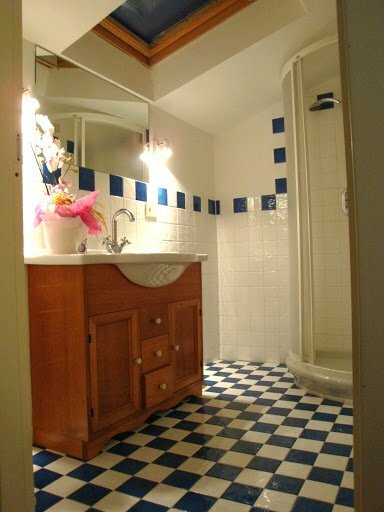 On the attic floor there is 1 bedroom with bathroom. 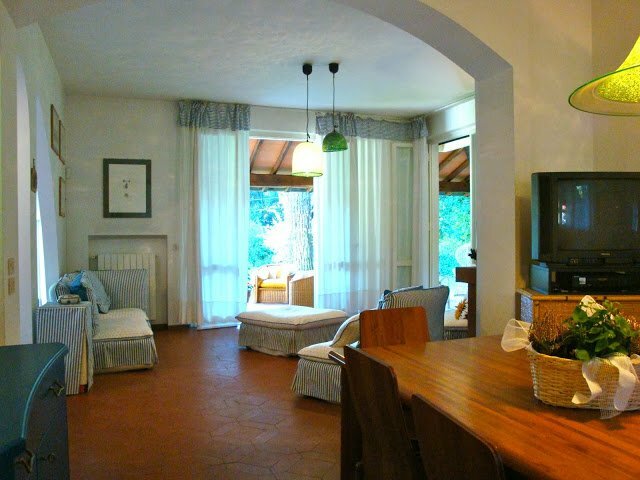 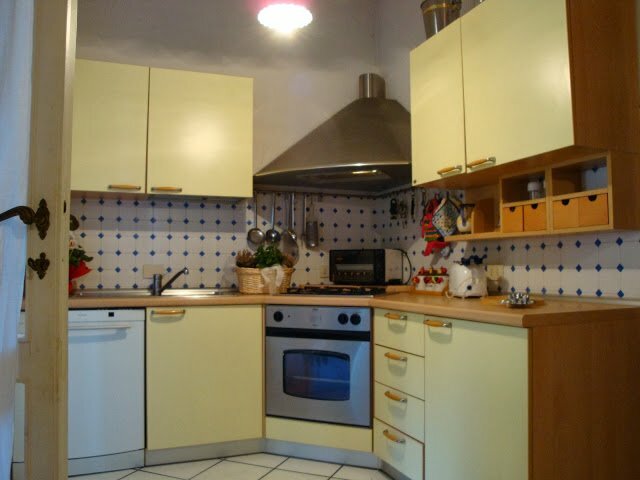 The villa is surrounded by a 1,550 square meters park and includes a small cellar, a laundry, a garage and a brick oven with barbecue. 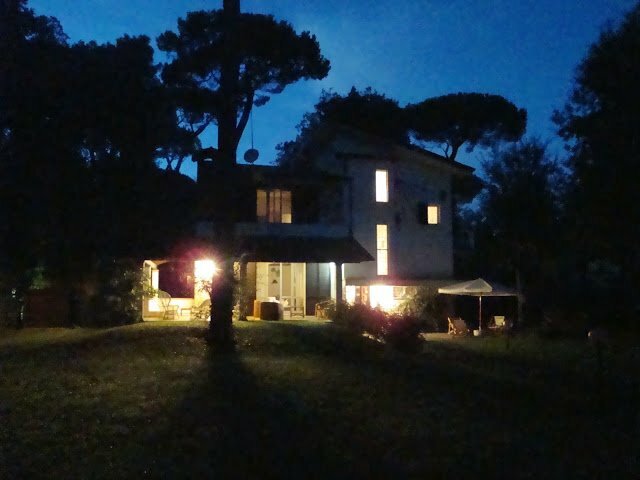 The property is protected by a private night security service and the house is alarmed and equipped with a safe. 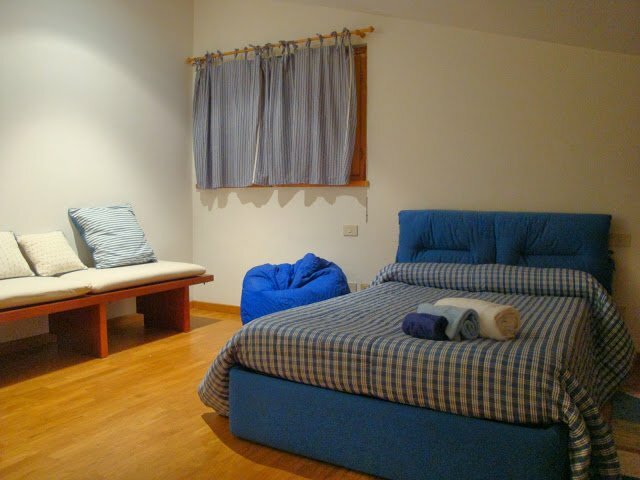 Guest can have access to Eva beach club: 1 tent+cabin for no more than 6 people is included in the price. 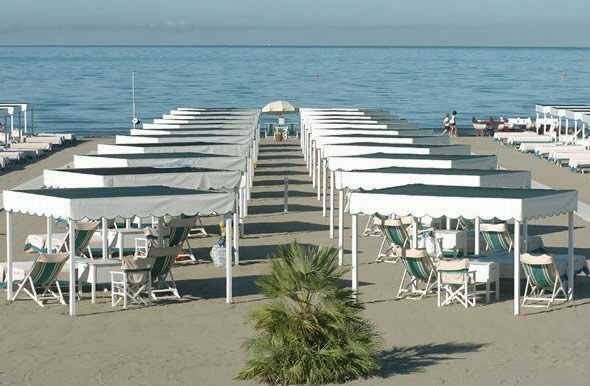 Eva beach club is located in front of the pinewood gate on the seafront.